EXCLUSIVE AT NET-A-PORTER.COM. Silvia de Brigard's signature use of tropical prints made her an obvious choice for our Colombian Collective capsule. 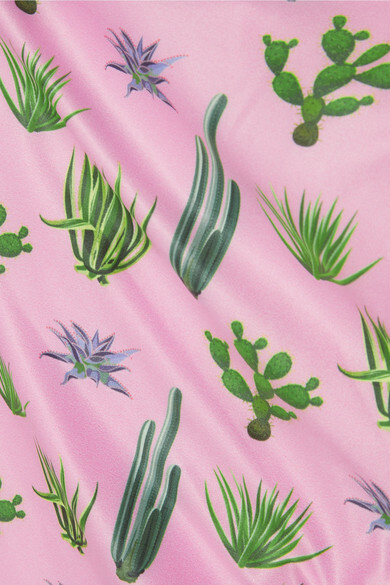 VerdeLimón's 'Tijuana' swimsuit is printed with cacti and aloe plants, and has an elasticated band to support your bust. It looks even better with the matching robe. Wear it with: Mallarino Bracelet, Bibi Marini Ring, Sophie Buhai Bracelet.